...Ethel Lilian Voynich, a great-aunt, was the author of The Gadfly, a novel later read by millions of Soviet and Chinese readers. Shakespeare and Company is the name of two independent bookstores on Paris’s Left Bank. The first was opened by Sylvia Beach on 19 November 1919 at 8 rue Dupuytren, before moving to larger premises at 12 rue de l’Odéon in the 6th arrondissement in 1922. During the 1920s, it was a gathering place for writers such as Ezra Pound, Ernest Hemingway, James Joyce and Ford Madox Ford. It closed in 1940 during the German occupation of Paris and never re-opened. The second is situated at 37 rue de la Bûcherie, in the 5th arrondissement. Opened in 1951 by George Whitman, it was originally named “Le Mistral” but renamed to “Shakespeare and Company” in 1964 in tribute to Sylvia Beach’s bookstore. You wouldn't happen to be reading a review of the movie "Blackhat"? It has at least 2 of the actors of Chinese descent that acted in "Lust | Caution". BTW, I didn't like "Blackhat" one bit; half way through the film I fell asleep. 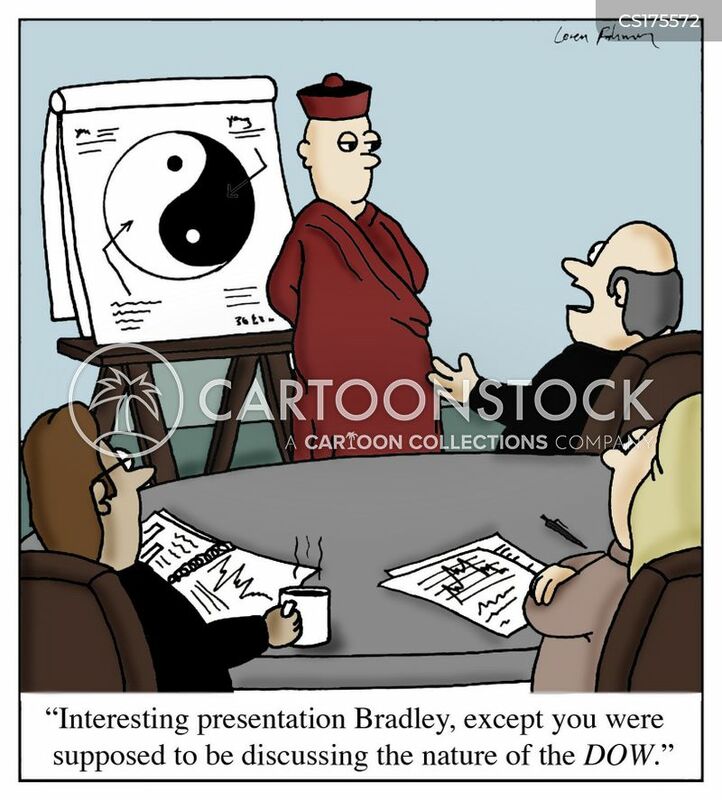 Any technical person would tell you it's pure fiction kludged together by someone who didn't have a clue. Plus IMO the acting was subpar. On Rotten Tomatoes the film holds a rating of 34%, based on 154 reviews, and an average rating of 4.9/10. The site's critical consensus reads, "Thematically timely but dramatically inert, Blackhat strands Chris Hemsworth in a muddled misfire from director Michael Mann." On Metacritic, the film has a score of 51 out of 100, based on 37 critics, with 16 positive reviews, 12 mixed reviews, and 9 negative reviews, indicating "mixed or average reviews". According to CinemaScore, audiences gave the film a grade of "C−" on an A+ to F scale. Will El Niño 2015 rival the strongest year on record? 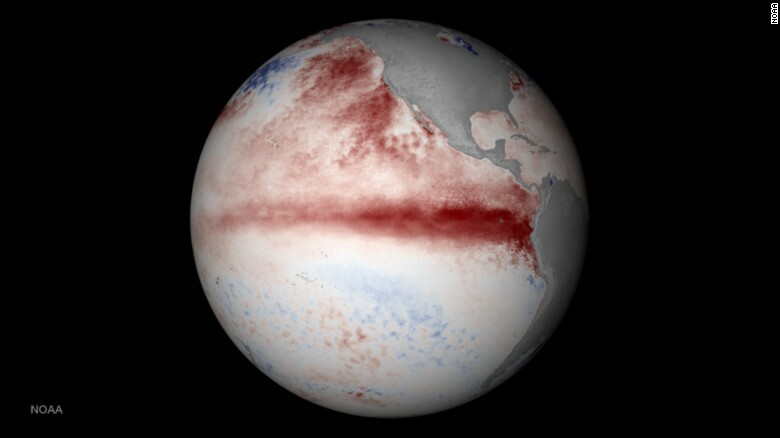 El Niño is a warming of the eastern Pacific Ocean, mainly along the Equator -- see the thick red belt in the satellite photo, which indicates waters that are warmer than normal. El Niño means The Little Boy, or Christ Child in Spanish. El Niño was originally recognized by fishermen off the coast of South America in the 1600s, with the appearance of unusually warm water in the Pacific Ocean. 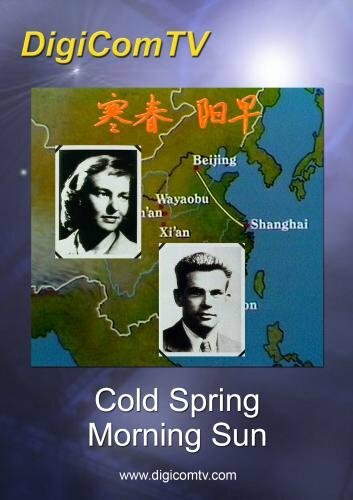 The name was chosen based on the time of year (around December) during which these warm waters events tended to occur. La Niña means The Little Girl in Spanish. 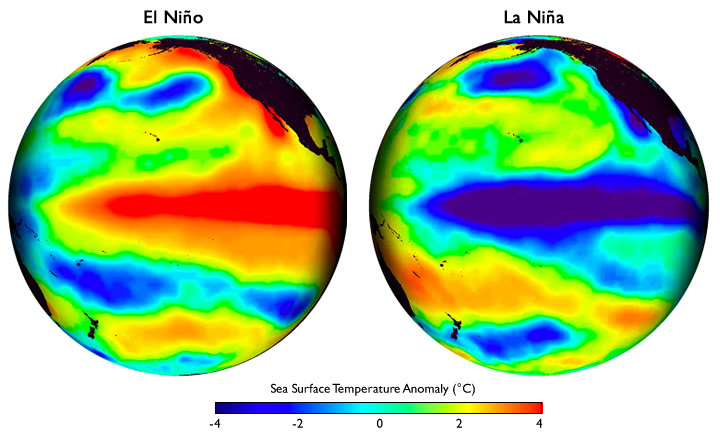 La Niña is also sometimes called El Viejo, anti-El Niño, or simply "a cold event." La Niña episodes represent periods of below-average sea surface temperatures across the east-central Equatorial Pacific.